Our custom online & back-office applications have saved our clients over $5 million dollars since 1999. 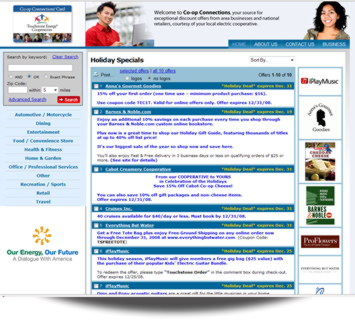 This is the redesigned Touchstone Energy Co-op Connections web site. 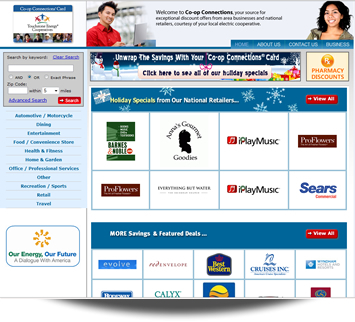 This web site is the place for consumer-members to obtain details about online, national and local discounts offered by participating Touchstone Energy cooperatives across the country. They can use the search engine to find discounts right at home - or anywhere they travel.